Video game sales have decreased significantly in the last years, and 2013 seems to be a year of transition and big changes for video game developers. So, in their attempt to revitalize this industry, I think that we will have a great year in terms of video games. Sony and Microsoft will launch their next generation of gaming consoles (PlayStation and Xbox) and Valve Corporation, the company behind the popular Steam, is preparing “Steambox”, a very interesting concept, designed to combine the versatility of a PC and the console experience. As expected, the games of the future have something to do with Internet, and I truly believe that Cloud Gaming is the next big thing. This means that we will buy a game online, store it on an Online Gaming Cloud, and we can play it from every device available (computer, console, tablet, smartphone). When I created this top with the best games of 2013, I took into consideration only games official announced so far. There are many mystery games still to be announced (like the star of E3, Watch Dogs or Star Wars 1313). Let’s see the list. Crysis 2 got few negative reviews, and the developers will probably try really hard to make a great comeback with the 3rd installment of the game. Using a new gaming environment (New York City Dome) power by CryEngine 3 graphic engine, this game will probably combine the successful elements of the first two games in the series with something new and innovative. Release date, spring 2013. Once, Xbox was the best action game console. Now, they lack top exclusive games releases. In 2013, the only exclusive game announced for Xbox was Gears of War: Judgement. The game is a spin-off of the Gears of War series. Judgement is made ​​by Polish studio People Can Fly (Painkiller, Bulletstorm) and the story is conceived as a prequel to Damon Baird and Augustus Cole in the lead roles. Release date: March 19. Evil is not easily defeated, and Isaac Clarke is found again in the first line of battle, fighting bloodthirsty aliens. The game allows co-op campaign, and gamers will experience new story elements and amazing cinematics. Release date, February 5. This time, the player will fight an iconic villain: Alien. The game have single player campaigns, but the developers promised entertaining multiplayer modes. Aliens: Colonial Marines will be released on February, 12. Metro 2033 was a real success, and Artyom is back for a new fighting round with the mutants from Moscow underground. The game will have astonishing graphics and the story of the game was written in collaboration with Dmitry Glukhovsky, the author of Metro 2033. Release date, March 2013. Real time strategy games are back. The game’s story happens on the Eastern Front of the Second World War. Players will have the opportunity to control the forces of the Red Army, with which they have to repel Nazis’ attacks from the gates of Moscow. Release date, January 31. Starcraft is that type of game that needs no introduction. Heart of the swarm will continue the story of StarCraft II: Wings of Liberty, but the main character is Sarah Kerrigan and her Zerg troops. This game is really expected by the multiplayer fans, because it will bring new units and a more balanced multiplayer game. Oh boy, I’m going to get a lot of heat for placing this game on the second place. It’s a personal choice, mainly because I loved the God of War series so much. What can I say, I’m a fan! God of War: Ascension will probably be the last adventure of Kratos on the current generation of consoles by Sony (PS3). Aside from the single player story (another prequel to the events of the main series games), Ascension is the first God of War title to incorporate a multiplayer component. Players can choose between the armies of Troy and Sparta, and between four gods of Greek mythology (Zeus, Ares, Hades and Poseidon), each with their own bonuses and abilities. Release date, March 13. This is a game that needs no introduction. I’m not a big fan of the series, but everyone else seems to think that GTA V deserves the first place. Who am I to say otherwise? The fifth title in the series promises the most comprehensive open game world ever made by Rockstar Games studio: the whole Los Santos (virtual replica of Los Angeles) and its surroundings will be recreated in detail. Also, for the first time in a game, the story of GTA V will have three main characters, the player can switch between these heroes whenever he wants. Cool, right? The developers’ team changed, and the game will not feature a multiplayer option. 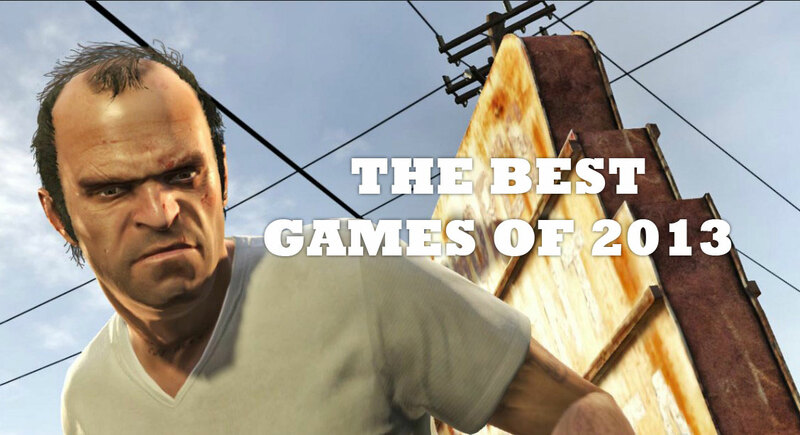 Even so, it could be one of the best games of 2013. Release date, March 26.